Thermal imaging CCTV surveillance cameras from 360 Vision Technology deliver high-resolution images in all environments. Our thermal imaging CCTV cameras can see through smoke, dust, light fog, haze and darkness. 360 Vision Technology thermal imaging CCTV surveillance cameras can provide the ideal choice for 24-hour surveillance and intrusion detection. Thermal imaging CCTV can also be used for process control and accurate fault detection where a thermal image is used to quickly detect potential health and safety issues. Heat based thermal imaging can detect recently driven vehicles and hidden persons etc. Thermal imaging cameras can also detect recently disturbed ground, footprints and hidden objects with heat traces. 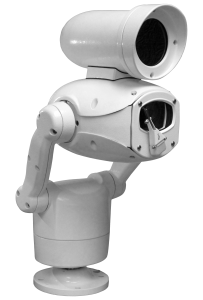 360 Vision Technology provide both cooled thermal imaging and uncooled thermal imaging CCTV surveillance cameras, to ensure the right solution is available for any thermal imaging surveillance camera requirement. Click each thermal imaging camera model to navigate to the model page.